Pneumonia is one of the leading causes of death in children under five in both Southeast Asia and sub-Saharan Africa. A large number of the children who die from pneumonia do so as a result of inappropriate treatment due to misdiagnosis of symptoms. 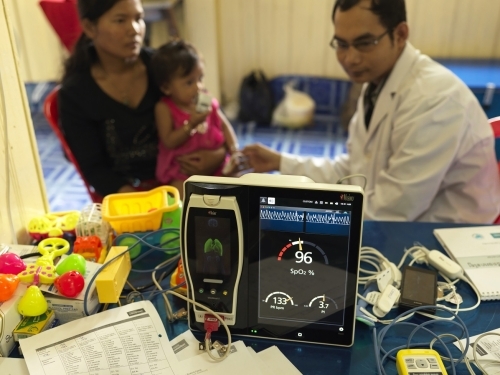 The pneumonia diagnostics project identifies the most accurate, acceptable, scalable and user-friendly respiratory rate (RR) timers and pulse oximeters (POx) for diagnosis of pneumonia symptoms in children by community health workers (CHWs) and first level health facility workers (FLHFW) in four low-income countries. The accuracy evaluation stage identifies the accuracy of respiratory rate timers and pulse oximeters for the detection of pneumonia symptoms.